Gastric Band Manometry: Are Pressure Measurements and the Band Pressure Ratio Useful? Introduction: Successful band adjustment requires a method to measure adequate restriction without over-inflation. There is no standardized optimal volume of saline used during band filling. 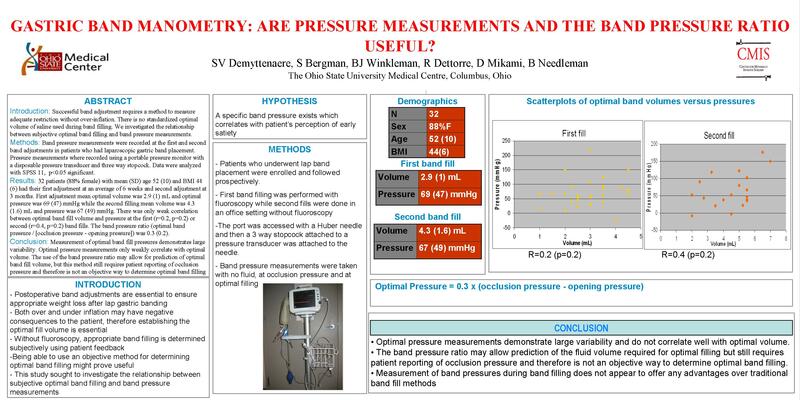 We investigated what the relationship was between subjective optimal band filling and band pressure measurements.